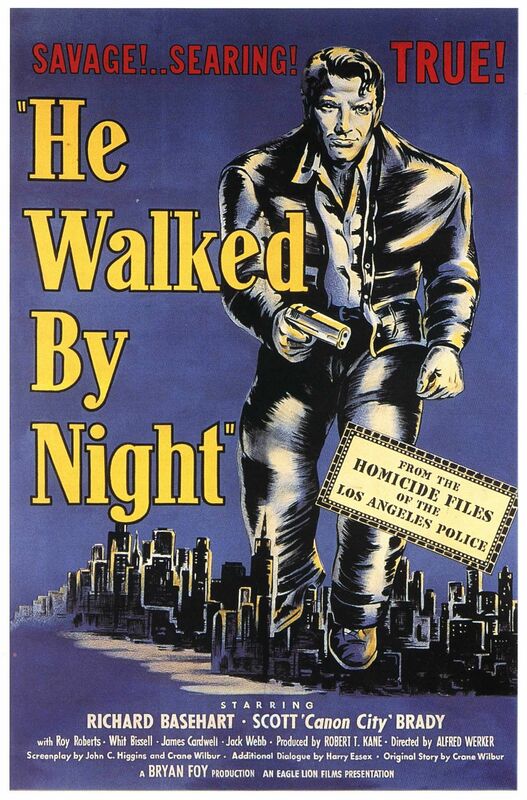 He Walked By Night aims to prove that “Los Angeles is the largest police beat in the country, and one of the toughest.” The film appears in Mill Creek’s set of 50 mystery flicks. It was directed by Alfred Werker and Anthony Mann. The picture and sound quality of the print are both decent, though nowhere near perfect; there may be better releases available. I was immediately intrigued by the premise of this film, which was inspired by the true crime story of Erwin Walker. “Roy,” the film’s Walker-equivalent character, attempts to fashion himself as the un-catchable criminal by listening in on the police department radio system and using his knowledge of the LA underground to evade suspicion/capture. It’s a nice twist on the usual crime procedural, and since Roy is a thief of electronics, the fact that he would have the knowledge to pull of such a stealthy plot against the police is believable. The use of narration in this film is interesting, somehow reminiscent of both a documentary and an old-time radio crime story. This is fitting, since Roy makes use of radio in pulling off his crimes (even if it is a different type of radio), and the doc-ish feel lends credibility to the film’s claim of factuality. For a film with plenty of narration and a plot revolving around radio communication, He Walked By Night isn’t heavy on dialogue, which is nice. It uses the ol’ “show, don’t tell” tactic that was drilled into my head back in my days as a journalism student! 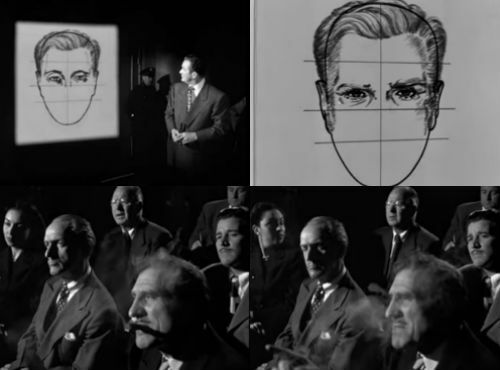 Richard Basehart’s performance is very good. Very, very good. He’s menacing, contributing to the film’s mood and darkness, but doesn’t seem purely evil. And despite the diminished print quality, it’s clear that the cinematography is marvelously executed, further building the film’s mood. The one thing I would have liked to see done differently in this film is the development of Roy as a character. It would have been interesting to see his psychology explored more deeply — his background, his motivations, et cetera. I really like this one, too…a neat little crime story with some great cinematography from John Alton, who did so many cool noir films with Anthony Mann. And yes, there is a better print (well, I should say, I’m guessing it is) for the version released on DVD by MGM.